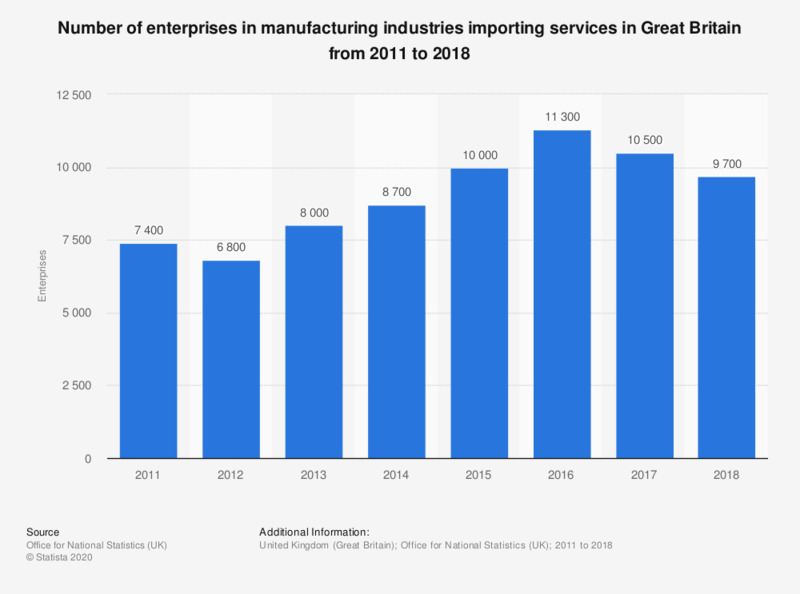 This statistic shows the number of enterprises in manufacturing industries importing services in Great Britain from 2011 to 2017. The number increased most sharply in 2016. This increase amounted 11.3 thousand enterprises in that year.